Located on the Gulf of Mexico, Gulfport, Mississippi is known for its long beach on the Mississippi sound. You can find the waters around Ship Island filled with seals and bottlenose dolphins. This city is a hidden gem that you don’t want to miss! When planning your vacation, make sure to stay with us at Red Roof Inn Gulfport – Biloxi Airport! We are pet friendly and affordable. Located less than two miles from the Gulfport-Biloxi International Airport and Gulfport Premium Outlets. We are also just minutes from the beautiful beaches and we offer free Wi-Fi and flat screen TVs. Go on a zip-lining adventure at Zip’N Adventure Park, located right next to the Gulf Islands Water Park. With 50 treetop games & obstacles, there’s endless fun for the whole family! Come to a show, convention or event at the Harrison County Fairgrounds. The Fairgrounds host nationals events like The Gulf Coast Winter Classics, rodeos, horse shows, concerts and much more. Located 10 miles away. Have a relaxing day on Mississippi’s finest beaches. West Ship Island is covered with tranquil stretches of barrier island shore that invite you to picnic, explore and relax. Located just 4.5 miles away! Come enjoy the high octane adventure of the Gulfport Dragway, located just 5.9 miles away from Red Roof! Upcoming events include the Winter Classic 1000 (2/03) and much more! Catch a sporting event at the #1 Sports Complex in Mississippi, the Gulfport Sportsplex. This Sportsplex features 9 baseball/softball fields, 4 full size soccer fields and is continuing to expand! Located just 3.9 miles from Red Roof! Don’t miss the Annual Gulf Coast Winter Classics Horse Show (Feb 7 – Mar 18). With more than 1,000 horse exhibiting and about 12,000 spectators, this is the largest hunter/jumper show on the Mississippi Gulf Coast. Located at the Harrison County Fairgrounds just 10 miles away! Book your stay now! Learn more about marine life at The Institute for Marine Mammal Studies (6.5 mi). Experience underwater adventures on the big screen in a state of the art auditorium, encounter sea life such as horseshoe crabs, sea stars, fresh water turtles, and other marine life in the discovery room. Lynn Meadows Discovery Center is a place where children and adults of every age can imagine, create and have fun. Bring the whole family for a day of interactive discovery and exploration! Located 9.4 miles away. The Mississippi Coast Model Railroad Museum has close to 200 years of train history including a model train that honors POW-MIAs from Vietnam & WWII. Come try a great local craft beer at the Chandeleur Island Brewing Company. Brewed using only malted barley, hops, and local ingredients, one taste is sure to leave you wanting more! Located just 4 miles away. Want to grab a bite to eat? There’s plenty of places nearby! Local restaurants include; Burger King (2.2 mi), Panda House (1.9 mi), O’Charley’s (1.2 mi), McDonald’s (2.1 mi), El Agave (3.4 mi), Domino’s Pizza (2 mi) and much more. Pick up everything you need at the Gulfport Premium Outlets, featuring 70 stores including Banana Republic, Gap Outlet, Michael Kors, Polo Ralph Lauren, Under Armour and more. Located less than a mile away. 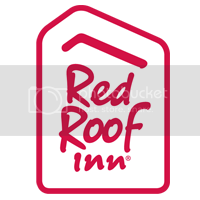 Don’t forget, at Red Roof, you can enjoy our fantastic amenities in all of our rooms when you check in, including, free Wi-Fi, large flat screen TV, microwave, refrigerator, hair dryer, in-room coffee, work desk, iron and ironing board. Wake up to a free continental breakfast every day before you start your exploring! Book now!